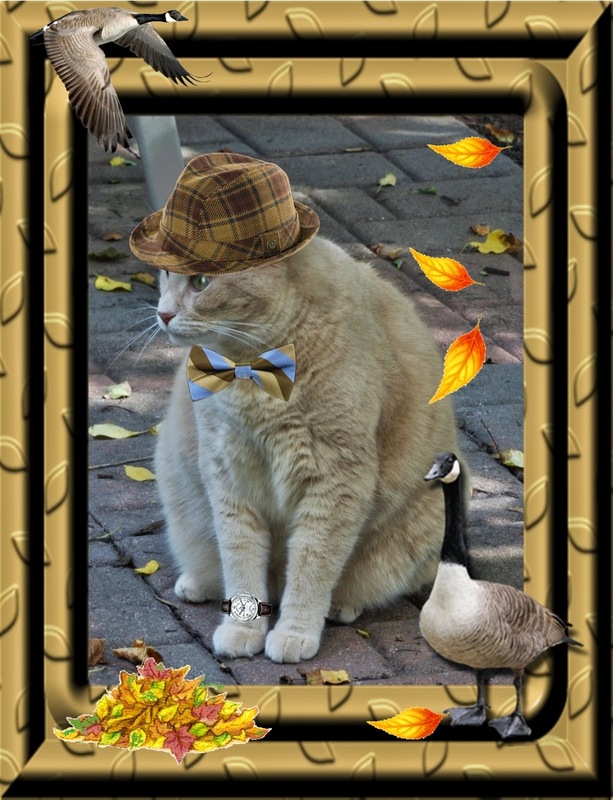 Wendy's 3-D Cats: THE 3-DS TAKE A GANDER AT THOSE CANADIAN GEESE! 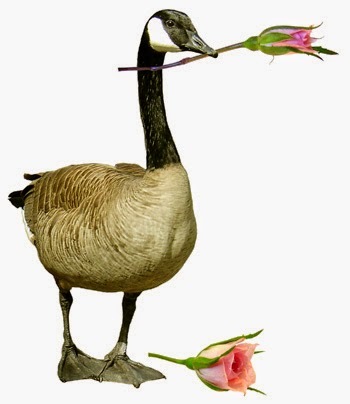 The 3-Ds are all dressed up to say farewell to their feathered friends, the Canada Geese. 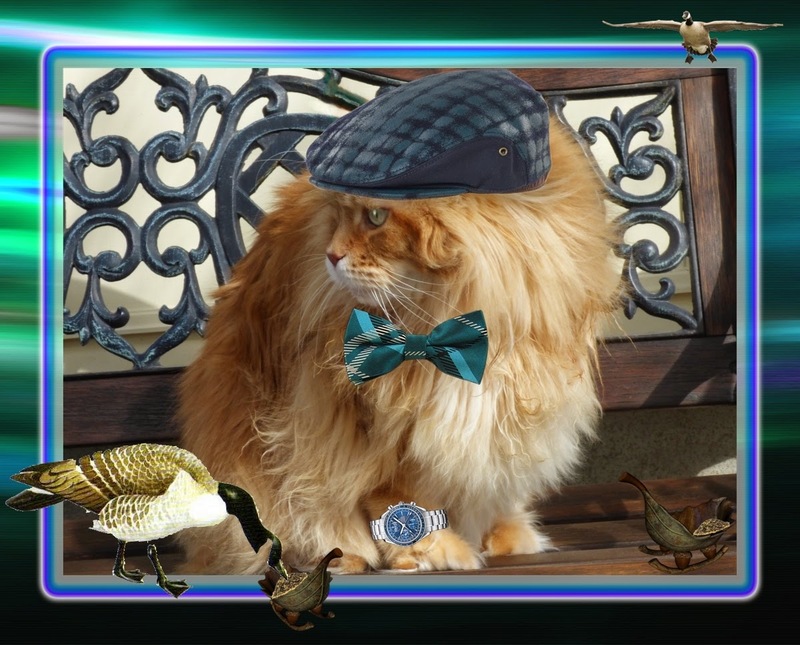 Dylan's in his gold and brown trilby hat and coordinating bowtie. "I'm gonna keep a watch out fur ya", he says. "Haffa safe trip!" Dante's sporting a trendy teal and navy flatcap with bowtie to punch up the colour. He has made little bowls out of leaves, twigs and acorns and filled them with birdseed for any Canadian goose who happens to stop by. "Fill 'er up! ", he shouts. "It's a long way until da next fillin' station." 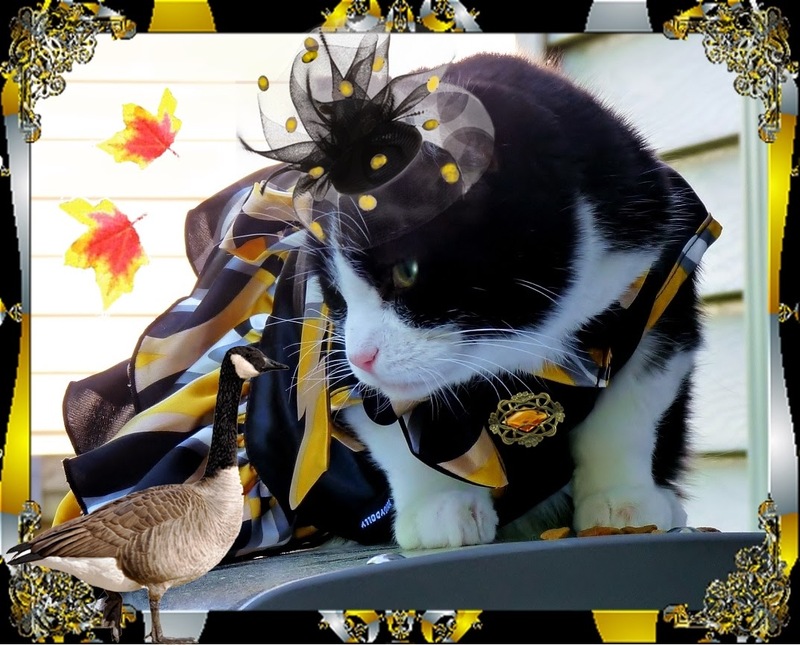 Domino is in a gorgeous black, white and yellow frock with neck scarf. She has paired this with a black fascinator with golden yellow dots. Speaking of fascinating, Domino is engaged in a very interesting conversation with one Canada goose in purrticular. It seems they are fast friends, so Domino will miss her dearly over the winter. "Bring me back a liddle sumfin from Florida" says she. "Since yoor my fast friend, yoo shud make it back in no time!"